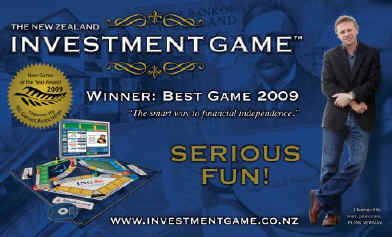 The NEW ZEALAND INVESTMENT GAME is an exciting strategic investment game where big fortunes may be made. Within a few short and entertaining hours player will learn a life-time of investment experience and learn the very same investment strategies that the super rich use to build their fortunes. - Every game is real and every game is different. You can even change the assumptions at the start of each game to simulate different market conditions or your own personal circumstances. 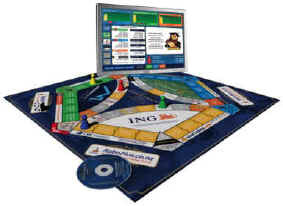 - You will receive educational tips while you play and you can even ask Frank Newman fro BUY and SELL advice! At the end of the game Frank also provides each player with a personalised report about their investment decisions, and a "score" using a patented formula to measure your investment skill (IIQTM) using an Intelligence Quotient (IQ) scale. "My cousin has recommended your book as the best NZ sharemarket book available. Indeed he said it is his "sharemarket bible". He has used the advice contained in it for the last 7 or 8 years and has obtained fantastic success with his share portfolio. I would like to purchase a copy as I am keen to build finances for retirement in 20 years." - D.B. Living off the Smell of an Oily Rag has become a phenomenon since the first oily rag book was released. This new guide has been completely updated and expanded to include hundreds of never-before-published tips. 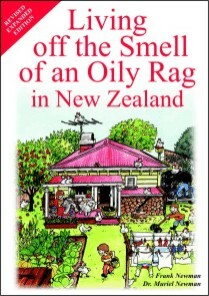 To join the Oily Rag community, see www.oilyrag.co.nz. Children's Books - coming soon! 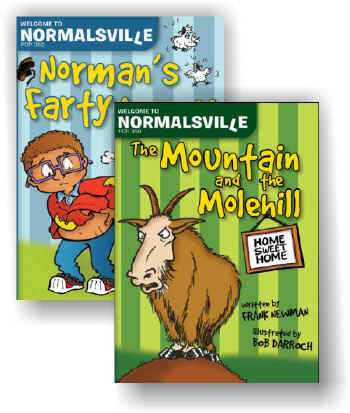 Norman Normal was a fairly normal eight-year old. He lived in a fairly normal house, in a fairly normal street, with his fairly normal family. But things were never really normal in Normalsville. Everyone in Norman's family was musical, except Norman. But all that changed the day he got the itch, twitch, tingle and jingle and made farty armpit music. Norman buuurted his way to the top of the charts. He became Normalsville's greatest musician but his greatest moment came when he was to perform at the Royal Variety Gala. Mr Mole was having a nice little afternoon snoozy-woozy in his cozy mole hill...until Mr Mountain Goat happened long with his big clodhopper thumpidy thump thump thump feet. Their chance meeting develops into an encounter of Guinness Book of Record proportions. Mountain! Molehill! Mountain! Molehill! Mountain! Molehill! Is it a mountain or a molehill? It's a question without an easy answer. Eight-year old Norman is drawn into the argument. By thinking in a way that only an eight-year old can, Norman answers the unanswerable question. The Mountain and the Molehill is a delightful little tale that shows how sometimes even small things like a molehill can become mountainous. Join our mailing list and we will let you know when these books are available!